16? 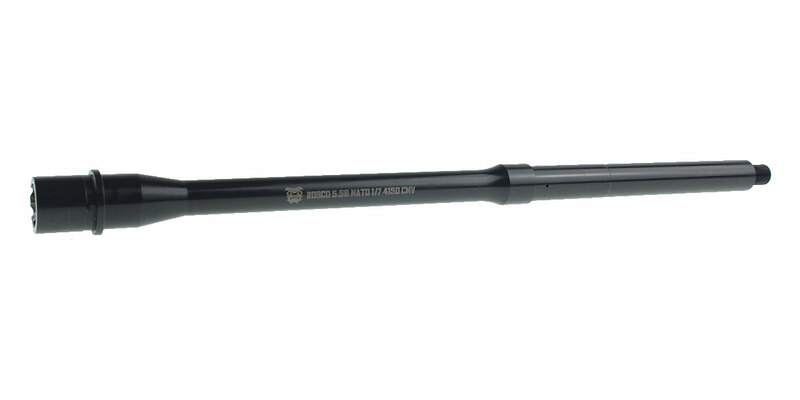 M4 5.56 NATO Bloodline Barrel: This Rosco 16? M4 5.56 NATO Bloodline Barrel is the perfect addition to your next build featuring perfect balance, properly sized gas ports in order to optimize performance and reduce premature wear and tear from over gassed barrels. 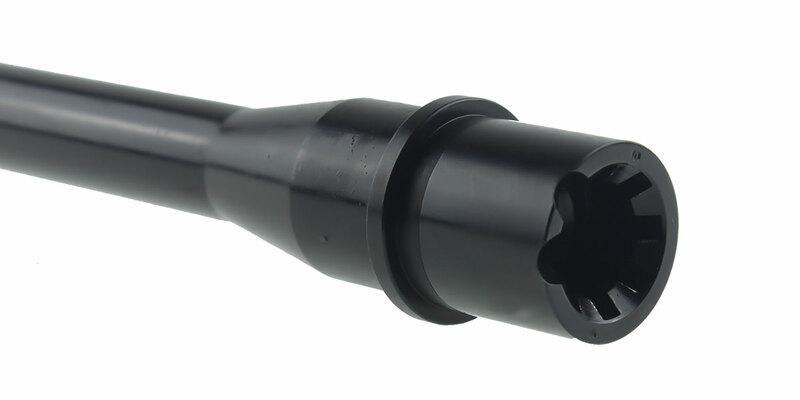 Rosco 5.56 (NATO) barrels are designed to meet the modern day carbine shooters requirements. Rosco has gone a long way from our daddy’s “Sporter” AR, and those specs just won’t cut it anymore. From properly managed dwell times for SBR’s, to running Suppressed, or setting up a balanced patrol carbine we have incorporated your needs into our engineering. Rosco has successfully accomplished this by picking the right twist rates, gas port diameters, and barrel materials according to the barrel we are making (not a lazy blanket method). 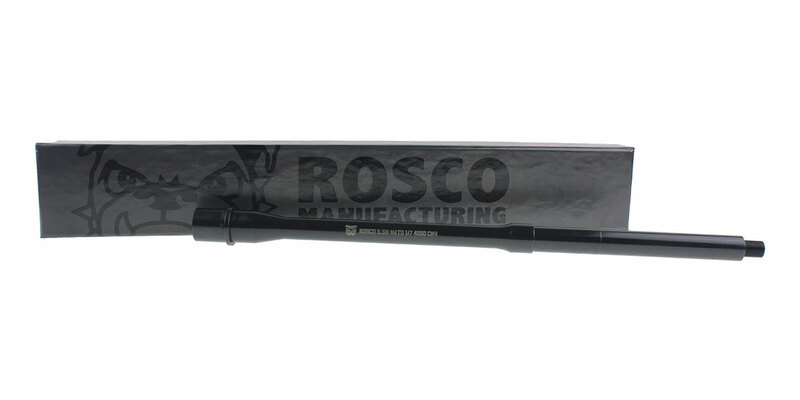 Rosco has also balanced input from our consumers and military end users in order to bring you the product you need, not just the one we want to sell you.